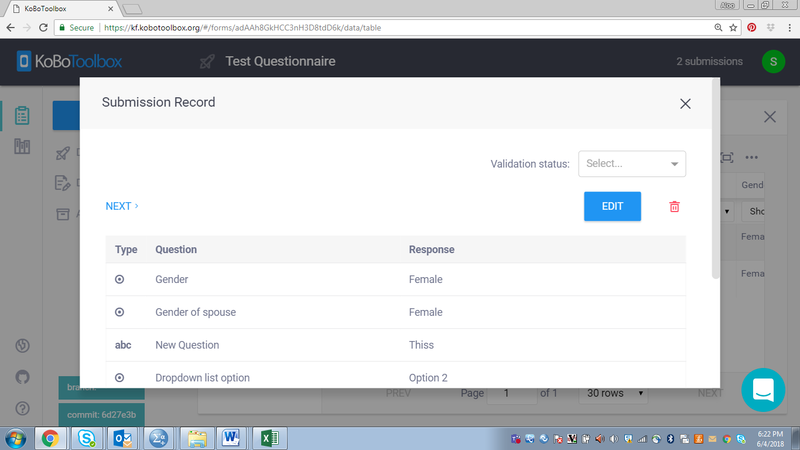 There are times when you need to edit or delete a submitted questionnaire. You should note that it is not possible to edit or delete a submission in the interface from the submitting device. Open the DATA tab of your project, and then click on "Table". 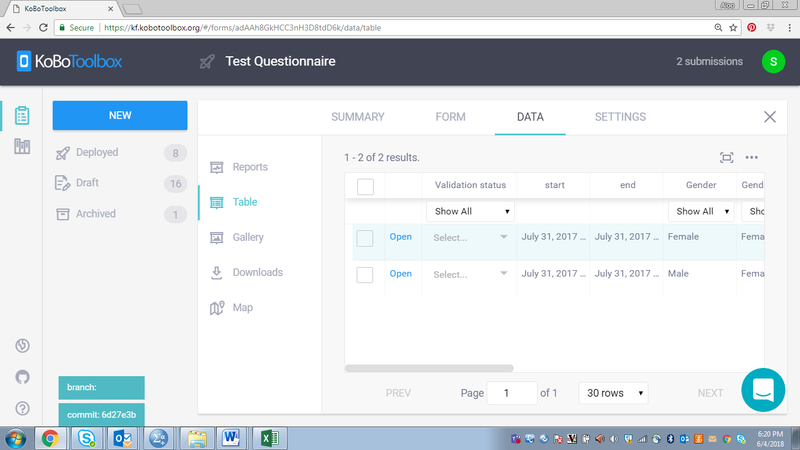 You will see an option to Open a record in the first column of the data table. 2. Next, Open the specific submission you want to edit. 3. You will then see an option to either EDIT or Delete (a red dustbin icon). 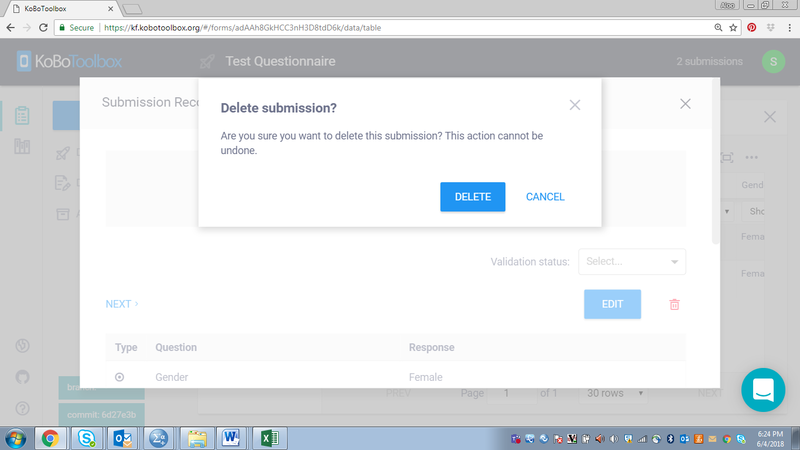 When you click the edit option, the form will open in Enketo and you can see the collected responses and edit them. 4. If you want to delete the submission click on the delete icon. Note: DELETING IS NOT REVERSIBLE.